We are trained and factory authorized to repair all makes and models--ANY BRAND, ANY AGE. Babylock, Bernina, Brother, Elna, Janome, Kenmore, Necchi, Pfaff, Sears, Singer, Viking, White. Our technicians are factory trained on all the latest technology. 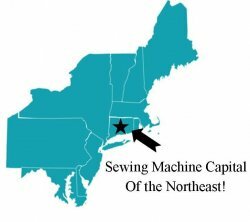 We carry all types of parts for your sewing machine or serger. 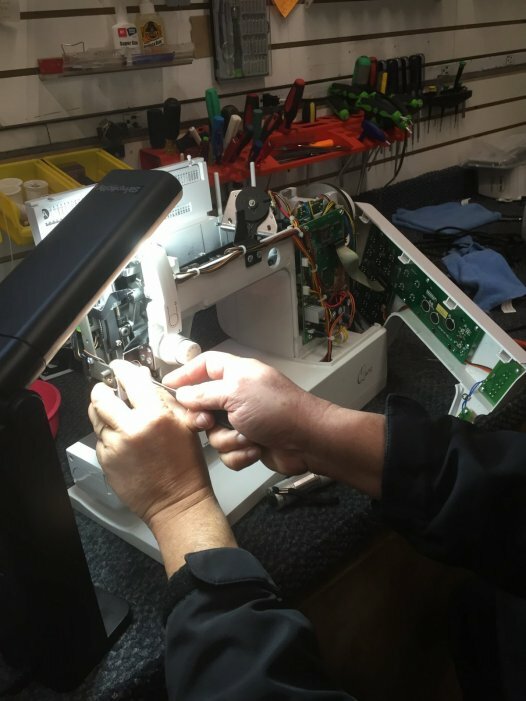 Whether it be a cleaning, oiling, or adjustment for your newer computerized machine, an update to your existing software, or a repair to your old, trusty antique, our service team is ready to give you professional service that you can count on. Feel free to call if you have any questions, we can help!